You know you’ve reached Punakha Valley in Bhutan because there is a dramatic rise in temperature, especially if you’re driving down from the capital, Thimphu. With an elevation of just 1,200 meters, Punakha is where you’ll find most locals flocking to at the end of the year as it experiences milder winters compared to the rest of the country. 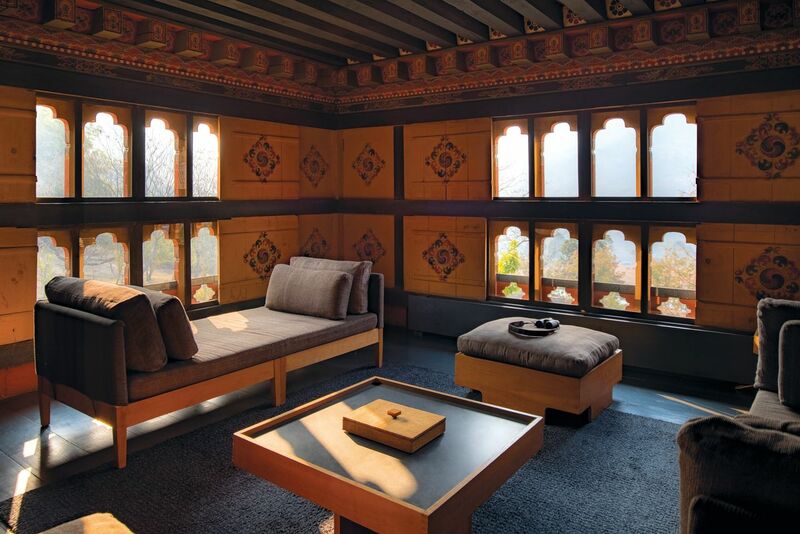 While the town’s claim to fame is comfortable weather and a handful of sites – namely Punakha Dzong, a 17th century fortress, and the fertility-focused Chimi Lhakhang temple – well-heeled travelers seek the privacy and unparalleled level of luxury of Amankora Punakha Lodge, which is one of five lodges spread across the country. Getting there is quite an experience. As soon as your driver drops you off at the meeting point beside the Mo Chhu River, follow Amankora’s staff across a suspension bridge, hop into a golf cart, and drive through the forest, dodging grazing cows along the way. 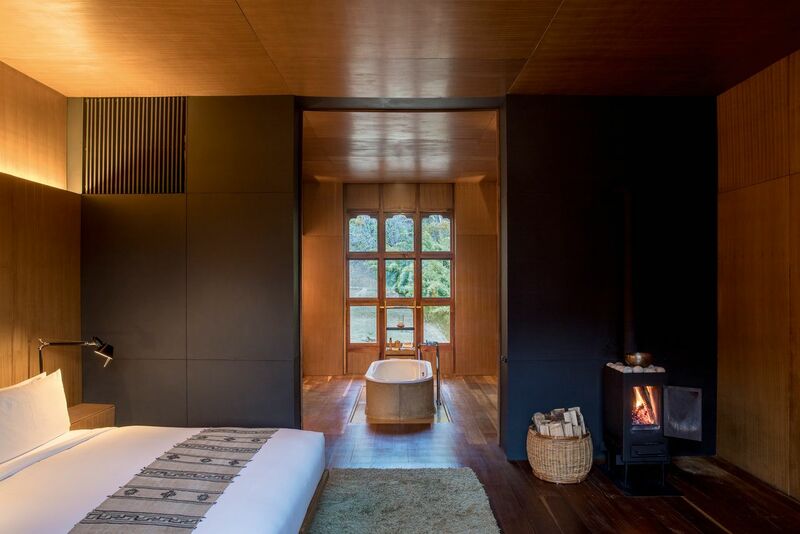 Once you reach a clearing, a traditional Bhutanese farmhouse, built by a former chief abbot, welcomes you, together with welcome pomegranate drinks and the property’s lodge manager, the affable Ms. Dee Paulse. 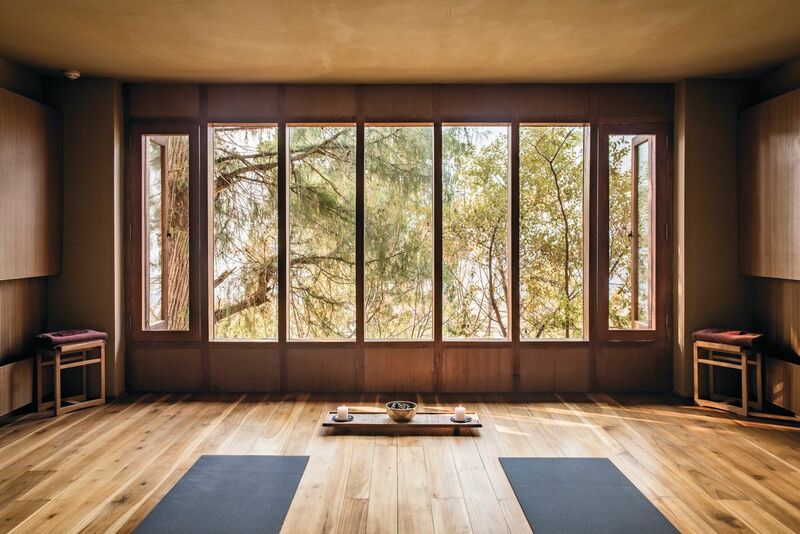 A brief tour around the property familiarizes you with the simple yet thoughtful facilities: A dedicated spa area, indoor and outdoor dining spaces, a peaceful yoga room, a reading nook, and an infinity pool. 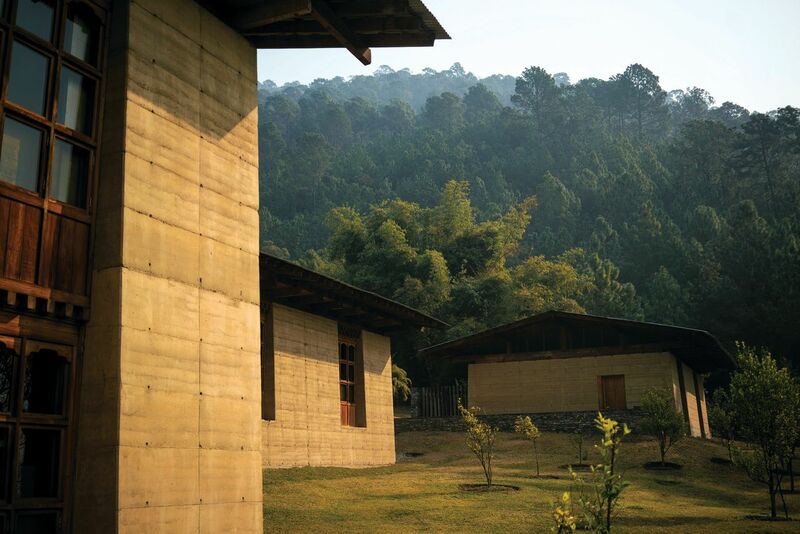 Finally, you are led to your “room”: One of eight rammed-earth structures, which comfortably houses two people, fitted with warm wooden walls and sliding doors, a king-size bed, banquette window seat, traditional wood-burning stove, Terrazzo-clad bathtub, twin vanities, and a separate shower and toilet. 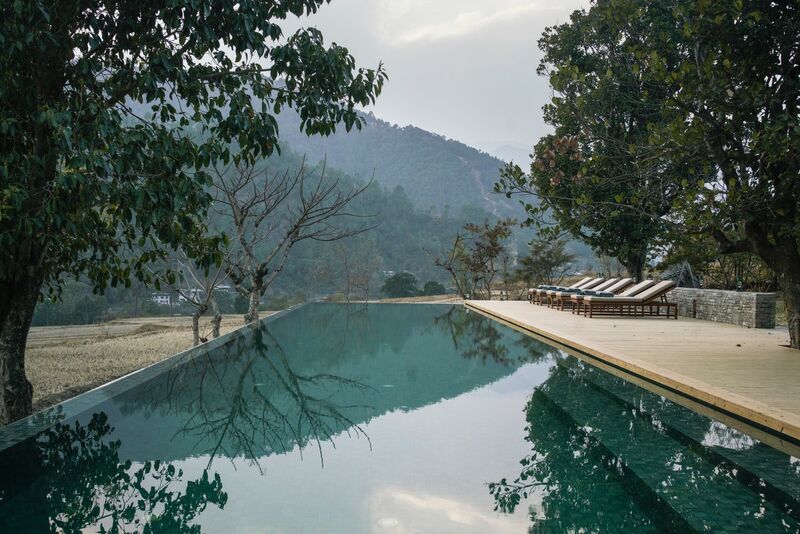 The interiors are elegant in their simplicity, while the view of misty hills and plantations through the expansive windows will leave you speechless. But what really stood out during my stay is that at an Aman property, there are no requests too big or too small. A request to change certain aspects of my room was met with enthusiasm; a quick call to the front desk requesting for an afternoon snack resulted in a tasty gourmet treat (truffle arancini balls); while a simple query about the homemade wild strawberry jam served at breakfast resulted in a big bottle of it slipped inside my packed lunch for the drive to Paro.